Ellen DeGeneres - who will host the Academy Awards on Sunday - jokingly gave Jimmy Kimmel an Oscar statuette for his unborn baby. Ellen DeGeneres presented Jimmy Kimmel with an Oscar for his unborn baby on wednesday. The 56-year-old talk show host will front the Academy Awards on Sunday and joked she had taken one of the statuettes to gift to the presenter following the news he and wife Molly McNearney are expecting their first child together. "You announced on the show that you and Molly are having a baby. Congratulations again. I got you a baby gift. Will it be your first?" Jimmy inspected the trophy and said: "It is a heavy baby gift." Ellen joked: "It is real! They let me take a real - well, they didn't let me - but I took it. "I was rehearsing across the street. It is like a baby rattle so the child can play with it." However, Jimmy felt his offspring wouldn't be impressed by the gift. He joked: "I wish the baby had a speech prepared right now...I can't believe how heavy this thing is. The baby is not going to like this at all! We are going to have to have one of those super babies." 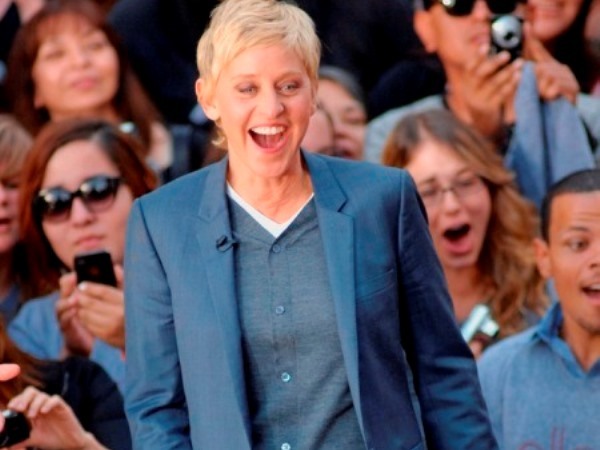 Meanwhile, Ellen - who is married to Portia De Rossi - also admitted she didn't "think through" her decision to host the Oscars and is incredibly "busy" at the moment. She said: "I am very busy. I didn't think this through when I said I would host the Oscars. I have a show everyday, and I am writing like crazy. I am moving at the same time, which was not thought through either. We are moving right after the Oscars."